Hello makeup junkies! I'm doing a first here, something completely different than the usual makeup review. I'll be doing more of these in the future! First Impressions: When I previously watched the trailers, I was expected something out of the ordinary, something a little violent and or gory, and obviously set in a fantasy world. Storyline: The game takes place ten years prior to the previous game. 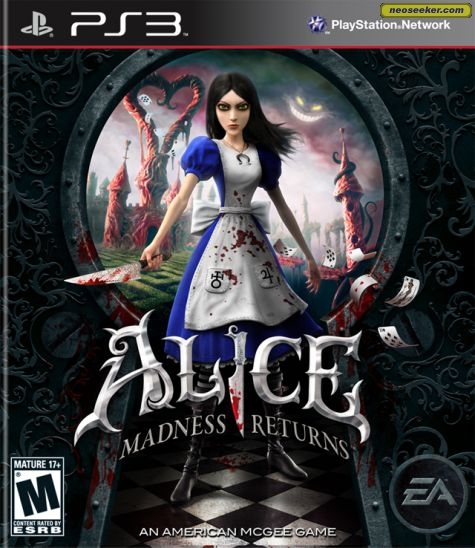 At the end of the original game, Alice was released from the Insane Asylum, and she now lives Victorian London (1860's) with her psychiatrist. She seemed stable for around 10 years, but she is again experiencing previously repressed memories from the fire that killed her family. The stress causes her to return to Wonderland looking for security and comfort- but, instead of security and comfort her insanity is completely warping Wonderland into an evil place. She has to save the residents, and herself. She also embarks on finding the true cause of her family's mysterious deaths if she wishes to retain her precious sanity. Graphics: Within the first few minutes of playing the game, I was impressed with the graphics. I think the movements in the people looked realistic enough, and I enjoyed watching the little cut scenes. They were done very creatively. I was also very impressed when Alice was in Wonderland. The scenery was done very well, it all looked so magical. 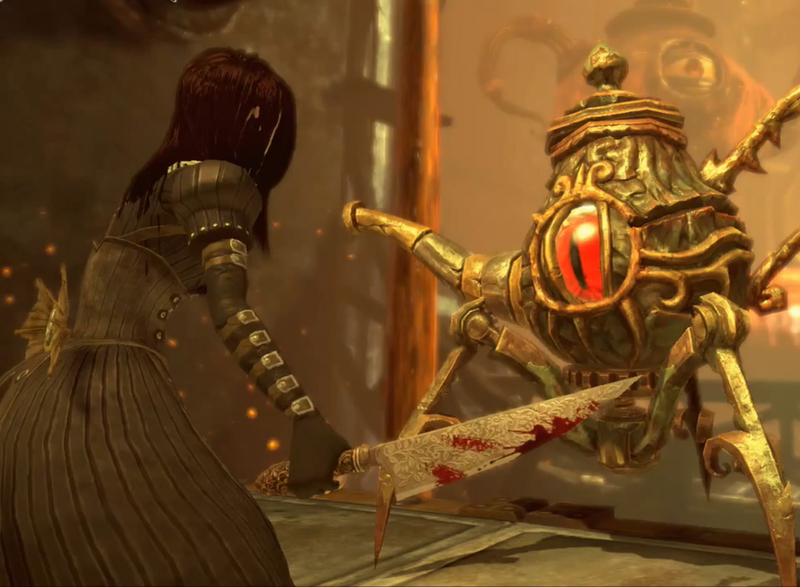 Character Design: They portrayed Alice very well with the finished design. She looked just like you imagine her.Throughout the game, I noticed that her dresses change. 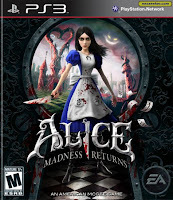 The only thing I found odd about Alice (other than her obvious insanity), was that they gave her brown hair. The Cheshire cat was also done very well, I think they designed him very differently than what were used to. When we think of the Cheshire cat, we think of a plump, purple-striped kitty with the huge grin. Instead you find a very bony grey cat, but they still kept the grin from the original stories which I liked. I noticed he had a huge silver hoop earring in his left ear, and had some interesting tribal-looking designs on his legs. The monsters in the game were also very interesting. There's 74 monsters / evil things within the game. I have not come across all of them (I've only been playing for a day), but so far they're all very odd, and VERY different. There are different strategies for destroying each of them, which I think definitely adds to the uniqueness. I would also like to add that yes, theres a LOT of creepy ones. Final Thoughts: Overall, this game is LOADS of fun, and definitely worth buying if you're into the whole Wonderland idea. I think this dark twist on the classic is amazing, definitely worth checking out. The graphics and storyline are all really well done, and I'm totally in love with the character design. If you're into into the violent/gory video games, this game is probably not for you.